ADVANCED CORRECTING FORMULA: Contains a powerhouse of natural, plant-based ingredients. Maximum strength 2.5% Retinol (Vitamin A), an organic herbal infusion, botanical Hyaluronic acid, Vitamin E, Green tea and Jojoba oil work synergistically together to reverse the signs of ageing with less dryness and irritation to your skin. Our retinol night serum for face is gentile enough for daily use and is also the perfect face serum for oily skin. Also suitable for all other skin types including for sensitive skin. This anti aging face product is the perfect retinol face serum for men and women. EFFECTIVE MOISTURIZATION SYSTEM: Softens and heals skin from the inside out. The molecular structure of our 2.5% retinol anti aging face serum allows for deep penetration where collagen and elastin are activated to improve skin texture and color – An amazing hyperpigmentation treatment system. Also the best anti wrinkle anti blemish treatment for deep wrinkle repair. Enjoy an amazingly even skin tone and marvel at your skin’s soft, radiant and youthful appearance. Best under eye dark circles treatment and acne scar treatment. FAST RESULTS: Our #1 Best Selling Retinol Serum 2.5% absorbs quickly and completely. Antioxidants and moisturizers work from deep within the skin layers to remove dead skin cells, unclog pores and promote healthy new tissue growth. Look Younger and Feel Younger! HIGHEST QUALITY, PURE, NATURAL & ORGANIC: Made in the USA in FDA certified and GMP compliant facility. 72% Organic. Fragrance Free and contains NO Fillers, NO Alcohol, NO Sulphates. Cruelty free and never tested on animals. I have used many retinol serums. Most of them are basically the same. But the ingredient ratios differs. And some are better than others. 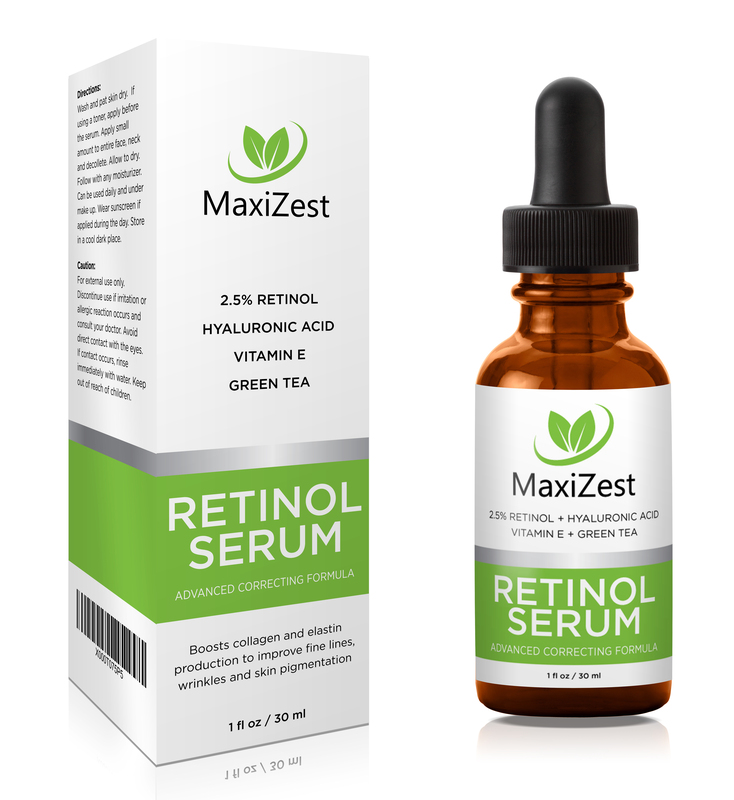 I like a retinol serum to have a calming ingredient like green tea or e vitamin in it. Also I like fewer ingredients in the serum myself. I use my retinol serum on my down days from Retin-A 1%. I am using a much stronger Retin-A now. I love it. The benefits from Retinols are just amazing. Turnover in your skin is way faster. And you know the older you get the longer it takes. Also speeds up collagen production which is a big benefit too.